In an ultra-commoditized market littered with competitors, differentiation is critical. In the banking industry, you will struggle achieving your business goals and marketing objectives without a strong, differentiated brand. 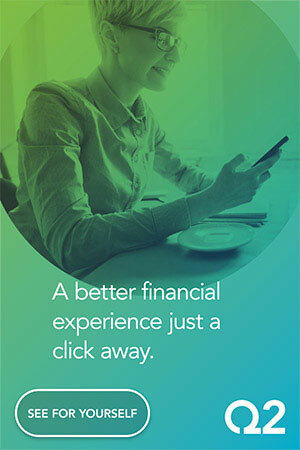 And one of the cornerstones of your financial institution’s brand is its website. As the online hub for consumers, your website represents one of the most important opportunities to set yourself apart from the competition. Website “branding” does not mean dropping a logo in the masthead, slapping on a tagline and presenting a giant hero image of a smiley family on the homepage. Every single touchpoint of the financial site represents an opportunity to express and convey what your brand represents, including especially your website. Your website should exemplify your brand — an online manifestation of the principles you stand for. You should look for ways to support your institution’s brand promise in every facet of the site. Showing how your financial institution lives up to its value proposition online is how your organization builds trust and credibility. Through effective imagery and messaging, the homepage must set the tone, establishing your bank or credit union as the one to turn to for a pampered financial experience. Your navigation should be action-oriented and guide the user to make his or her own decisions. Friendly callouts, such as “How can we help you today?” emphasize the point that your financial institution truly supports consumers’ unique needs. Accessible functionality, such as convenient live chat and simple contact forms, should be persistent throughout the site, making it easy for your consumers to ask questions and get in touch. Contextual resources, such as bands of relevant information and in-line tips, tools and articles, build upon the notion of superior service. Make it a cinch for consumers to contact your call center via the website with easy-to-find links. While a lot of banks and credit unions base their brands on service, your financial institution can take the concept to the next level on its site by putting names to faces, displaying staff members’ profile pics and contact information in carousels on relevant pages throughout the site. Allow consumers to leave ratings and reviews on service offerings, so they feel vested in your financial institution and others can learn from these interactions with your brand. Whatever your brand promise is, your site needs to support it in deep and meaningful ways, transcending the entire site experience. The following is an alphabetical list of 25 aspects of your website where there are valuable opportunities to manifest your brand. 1. Background Image. Apply shapes, patterns and/or signature colors to the background of your financial site that tie back to the brand’s overall style. 2. Bands. Compartmentalize similar content in graphical “bands” with headers, icons, backgrounds, images and buttons that all relate back to your brand identity. 3. Blog. A blog allows your financial institution to express its brand using editorial material that’s infused with personality. And it supports inbound marketing. 5. Contextual Tips. Augment your web copy and site’s interface with contextual tips, tools and formatted information phrased in ways that complement your brand. 6. Copywriting. It’s not easy writing keyword-rich, compelling web content that carries your brand’s character in a consistent, compelling style that stays true to your brand’s tone and voice. This is why you don’t want to cut corners here. Be prepared to take some time on your web copy… and spend some money on it. 7. Cross Sell. Related content, services and products align with your branding when presented as helpful, educational, valuable or some other distinct virtue of your institution. 8. Color Scheme. Your website should adhere to the brand color palette. Use color to draw attention to key callouts and action items, but also use white space to deliberately to allow content (and the user!) to breathe. Branding your website does not mean drowning it with your corporate color(s). 9. Company Info. Your site’s “About” section is where users should find your financial institution’s positioning statement, mission, core values, history and more, so make this background material powerful and uniquely yours. 10. Content Mechanisms. Make product details less mundane and easier to read with customized tabs and accordions that extend your brand style. 11. Custom Photography. When budget allows, use custom photography that reflects your brand. For instance, if your brand position is built around “supporting the local community,” you can’t use stock photos; you must use images of your local branches, your employees and your customers. It is worth the investment to give your site a distinctive look of its own. 12. Eligibility Finder (for credit unions only). Help people determine if they can join your credit union with a simple link/tool that asks them the right questions, then explains their eligibility based on your criteria. 13. Functionality. Ensure that your site’s offerings match your brand’s value proposition, so if you present yourself as something like the “bank of tomorrow,” your site should offer mobile account opening, interactive rate tables, online appointment setting, video chat, etc. 14. Graphics. Develop iconography, imagery and illustrations to build out your brand identity, utilizing these custom designs to highlight items and complement content. 15. Lifestyle Marketing. If you’ve done your branding homework then you know which audience segments you are targeting. Appeal to these specific consumer lifestyles and lifestages with on-brand images and copy. 16. Logo. Your financial institution’s mark is the DNA of your brand, so feature it prominently on your site beyond the top left corner, such as in the footer, as well as find ways to use its recognizable colors, lines and shapes as graphical elements throughout the site. 17. Modules. Box up featured site content and functionality in modules that stay on brand with consistent styling and clever writing. 18. Product Pages. Show how your bank or credit union solves consumer problems, aligning service offerings to your overall brand with insightful text and supporting images. 19. Promotions. Many marketers fall into a trap where “promotional content” is treated differently than “brand messages.” There are banks and credit unions out there with great brands who, nevertheless, pump out fairly generic campaigns and promotions. But sales campaigns and product promotions should still be infused with the brand, aligning with your institution’s overall ethos. 21. Solutions Tools. Support consumers’ personal financial goals by presenting a series of recommended products, services and resources based on selected objectives. 22. Storytelling. Make your brand and banking solutions feel real to consumers by sharing stories of how they have helped others reach their financial- and life goals. 23. Tagline. Prominently feature your brand’s positioning statement or slogan accompanied by your logo at the top of your site and/or in the footer. 24. Social Media. Feed your institution’s social media content to your site to infuse a constant, current and continuous flavor of your brand with fresh and relevant content. 25. User Experience. Whatever your brand stands for, your site’s user experience should be constructed in a what that reflects your positioning. If your financial website looks like one big static image with three smaller features underneath, a bunch of monotonous text and no brand personality, you’re probably doing it wrong. These days, your site must emulate the ideal of the virtual branch, giving the same (or better) impression that your consumer gets when visiting your brick-and-mortar branch. This article was originally published on July 12, 2016 . All content © 2019 by The Financial Brand and may not be reproduced by any means without permission.